Ralph Lauren Big Pony 1 dedicated to the production of men's clothing line. 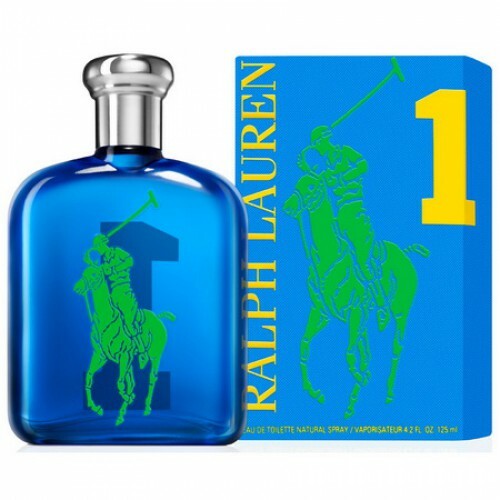 Ralph Lauren Big Pony 1 Blue is a citric fragrance - floral for young men, confident, stylish and beautiful women who love sports. Early notes of the perfume Ralph Lauren The Big Pony 1 Blue are given fresh arrangements of lime; sophisticated notes intertwine with exotic citrus and base fragrance is dominated by fresh agreements Ralph Lauren The Big Pony grapefruit. Parfume 1 Blue can be worn both in the daily activities and sports. 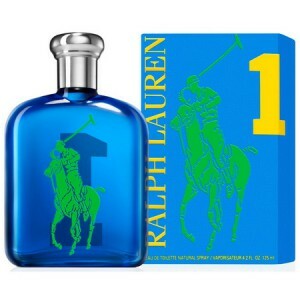 Connect with sport and luxury perfume Ralph Lauren The Big Pony 1 Blue! Woody fuzherny perfume Ralph Lauren Big Pony 1 Blue is a masculine scent that is for the American fashion house Ralph Lauren Yves Cassar created in 2010. This fresh and clean, with a little acidity and some floral, sweet, bitter, citrus-woody composition is included in the sports collection "Big Pony", in which the four perfume. This collection is the accompaniment for the popular line of accessories and T-shirts created for polo players. Soft and slightly damp odor of perfume has an invigorating effect, able to provide a good mood and energy. To create this composition were used notes of oak and lime extract. This daytime fragrance more fully disclosed in the summer days. Ralph Lauren company has developed four new men's fragrance, included in the collection Big Pony Collection, specially created for the fans of the brand, acquiring trendy polo shirts Big Pony polo. Each fragrance sounds in accordance with the character of the man for whom it is intended. Composition Big Pony 1 is aimed at lovers of oriental perfumes. It contains notes of warm chocolate, vibrant exotic spices and musk exhilarating.